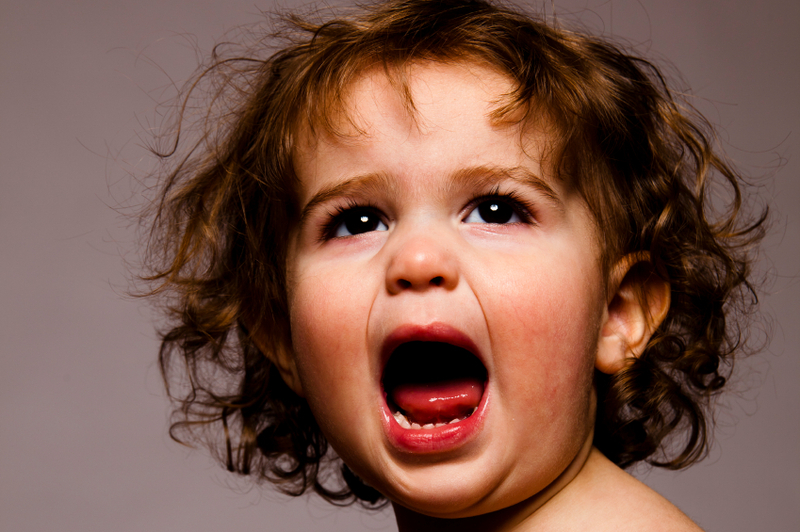 Children’s tantrums are part of life for many young parents. For families that have never had to deal with this common issue, tolerance for tantrums is extremely low. In fact, many adults consider tantrums to be abnormal behavior. First we must define “Tantrums”. There are two main categories. Acceptable and Unacceptable. I’m frustrated because I can’t make this work. Frustration can often result in a tantrum when a child can’t perform a task like unzipping a zipper. This is especially true if they have been successful at performing the same task before, or if they see another child carry out the deed with ease. This is a learning opportunity to teach your child that if they are failing, they should ask for help. They learn quickly that it’s not only easier, but provides them with an opportunity to interact with you. The best reinforcement is to ask your spouse for help performing some activity in front of your child. If they see you asking for help, they’ll be completely comfortable asking for themselves the next time. I’m angry because I’ve been wronged. Children are surprisingly hostile to other kids at times. This may result in an injury, or a precious object (a doll or blankey) being taken by an aggressive child. The resulting panic says, “you’ve lost it forever and will never get it back.” This may produce a tantrum response, which is understandable. The teaching point for your child is that a tantrum is not an acceptable response – ever. Instead, sharing is the appropriate behavior. This also teaches them that they will have the opportunity to receive that object back. It isn’t permanent. I’m so tired I can’t control myself. To be honest, there have been times of fatigue that I’ve felt this way. The answer is Nighty-night. I want that now! Don’t tell me no! This is one of the more difficult tantrum forms since it seems to come without warning, and is the result of simply not getting one’s way. The tantrum ensues until the object, activity, or sought-after activity is received. It’s an attention-getter, and it cannot be tolerated. So what does that mean? Here are some medical expert’s solutions along with the inherent problems associated with several. Let the tantrum run its course. The experts are quick to say that this is feasible only if you’re home in a safe environment. In public, allow your child more grace to just get through it. The problem with this solution is that children are smart. They’ll learn to save up their tantrums for when they’re in public settings and keep you on the ropes while onlookers cast their glances of disapproval. Instead of succumbing to the tantrum in public, change the status quo. Move them to where it isn’t public anymore, even if that means getting back in the car and heading home. It isn’t convenient, but you won’t have to do it often. They’ll learn they don’t get their way, and they lost the opportunity for an outing. The idea is that if you keep things calm you can talk your child through a tantrum, or talk them out of it. If you’ve ever tried to do this, you have experienced how fruitless and frustrating it can be. The inherent problem here is that this is surrendering higher ground to you child. There are few times that reasoning with a kid is helpful. Leaving them alone is often wiser if they are old enough, and timeout if they are young. If you resist a dozen times and finally give them what they want, you have set the precedent for future tantrums. Hold your ground. You must show them that above all, throwing a tantrum not only doesn’t get you what you want, it guarantees you will not receive it. Anger management is an important life lesson. We must teach our children that outbursts of anger are generally not acceptable. Unfortunately, the most important manner in which to teach this is by example. Offering your child tools to manage their anger is essential. They’ll gain friends, do better in school, and be better people. Studies indicate that later in life, they will also be more successful and have better (longer) marriages. There are practical steps we as parents can take to help our children avoid tantrums. Give your child positive attention for positive behavior. For example, praising them when they share with others. Establish boundaries for your children. Dr. James Dobson’s book Dare To Discipline is one of the best I have ever read. Children are known to thrive when given clear boundaries, and flounder when they have none. This is worth pursuing. Choose your battles. If you child asks for something that you don’t want him or her to have, give it some thought. Is there any reason not to give it to them? If it’s no big deal, it may be a positive move on your part to give it to them as a treat. They’ll learn you don’t always say no. Don’t battle with your spouse in front of your children (or otherwise for that matter). The stress this causes in a child’s life is more than we may realize. Tantrums, or “acting out” could be their response to that unpleasant part of their lives—fighting between the two people they love the most. Fighting with your spouse is extremely stressful for your children. Child rearing isn’t easy. It takes time and you will make mistakes. When you do be honest about it and move on. You’ll do better next time. Previous: IS GOD ASKING YOU?